The relationship that is established between child and puppy follows stages of rapid development. If it is faster than that of a child, in a short time the relationship will become peer-to-peer and then turn over within a few months. For this reason, children must learn to respect it because the dog that has a long memory, may not forget and consequently not like the company of those who have not behaved with him in the best way. 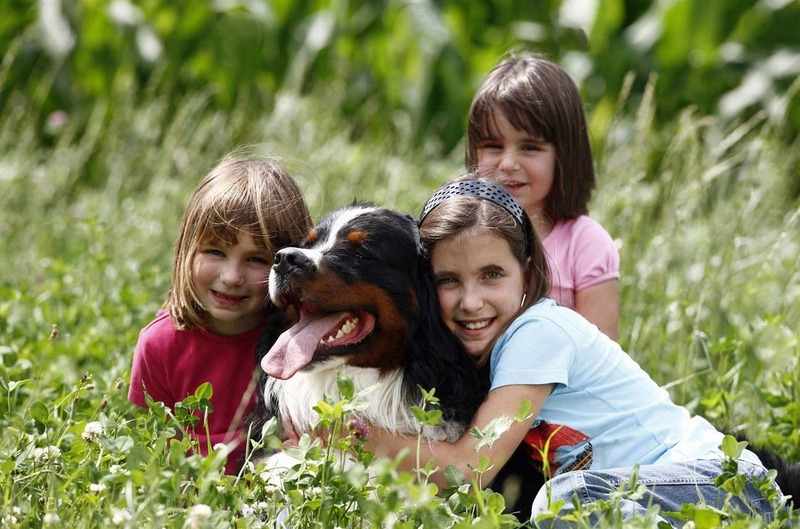 Even if the Bernese Mountain Dog has an excellent relationship with children (he considers them his “herd”), it is a good rule not to leave a dog and a child alone until you are sure that neither wants to make the other unpleasant spite. Do not approach silently behind the dog: he may believe that you want to ambush him. The Bernese Mountain Dog is very docile and sociable with children and allows them to play almost any kind of game, also thanks to his non-aggressive nature. This is not the reason why children can’t be allowed to pull on their ears or “play” with their eyes and truffles; the tail is not a rope to hold on to. Once these little prohibitions are accepted, the little ones of the house can also jump on their back, fight, run and jump to infinity; the Bernese Mountain Dog easily recognizes the children’s games, adapting his strength to them. The Bernese Mountain Dog loves very much the other animals, which he considers “part of the herd”. Moreover, being by instinct very protective with who is smaller than him, he is never aggressive towards the other animals possibly present in the house (cats, hamsters, rabbits, etc..).